We’d love your help. Let us know what’s wrong with this preview of The Game of Saturn by Peter Mark Adams. The Game of Saturn is the first full length, scholarly study of the enigmatic Renaissance masterwork known as the Sola-Busca tarot. It reveals the existence of a pagan liturgical and ritual tradition active amongst members of the Renaissance elite and encoded within the deck. 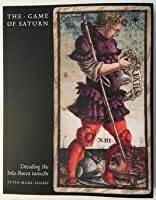 Beneath its beautifully decorated surface, its imagery ranges from the obscure to the grotesque; w The Game of Saturn is the first full length, scholarly study of the enigmatic Renaissance masterwork known as the Sola-Busca tarot. It reveals the existence of a pagan liturgical and ritual tradition active amongst members of the Renaissance elite and encoded within the deck. Beneath its beautifully decorated surface, its imagery ranges from the obscure to the grotesque; we encounter scenes of homoeroticism, wounding, immolation and decapitation redolent of hidden meanings, violent transformations and obscure rites. To ask other readers questions about The Game of Saturn, please sign up. Sinister art historical investigation of the Sola Busca tarot-like deck, linking Renaissance political intrigue between Ferrara and Venice with the attempted pagan revival of George Gemistos Plethon. Potential connections between 15th century elites and the ancient cult practices of Saturn-Ammon in Carthage and Rome are explored. Deliciously evil. Lovers of book arts will be pleased with the exceptionally fine design and fabrication of the physical book. Black silk shantung covers, deep purple en Sinister art historical investigation of the Sola Busca tarot-like deck, linking Renaissance political intrigue between Ferrara and Venice with the attempted pagan revival of George Gemistos Plethon. Potential connections between 15th century elites and the ancient cult practices of Saturn-Ammon in Carthage and Rome are explored. Deliciously evil. I'm not entirely sure sure how to review this. It's one of the many occasions when having to rate something is completely unhelpful (though that's how the Good Read's Game of Saturn is played). On the one hand, 5* for the small press production values and dedication to quality (though the font with the distractingly weird 's' used for all indented quotes was an odd decision). It functions beautifully as a fine art book. On the other, the text see-saws between close readings of scholarly sources I'm not entirely sure sure how to review this. It's one of the many occasions when having to rate something is completely unhelpful (though that's how the Good Read's Game of Saturn is played). On the one hand, 5* for the small press production values and dedication to quality (though the font with the distractingly weird 's' used for all indented quotes was an odd decision). It functions beautifully as a fine art book. On the other, the text see-saws between close readings of scholarly sources that back up Adams' theories and speculation based entirely on the author's own dissection of the images when such readings aren't available. No alternate theories about the Sola-Busca's origins and purpose are discussed (though Adams was very convincing on the former). But it certainly provides a rich, well-founded portrait of an extraordinary group of people living through and trying to shape extraordinary times in a format that trumps (sorry) far more ostensibly scholarly books. And anyone who's encountered the madder characters lurking in the shadows of that era (Carlo Gesualdo, I'm looking at you) cannot help but ask themselves "But what if...?" Perhaps it contributes to a foundation myth for those who like to see themselves as the 'inheritors' of that long-passed Renaissance elite, thought I don't think that reflects the author's intentions in any form. The real inheritors are the Trumps, Putins and Assams and their hellspawn...but that's another story. I am an author, professional energy worker and healer specializing in Rebirthing breathwork, energy psychology, Usui Reiki and mindfulness meditation. With a background in Philosophy, I have been researching energy, consciousness and healing for over 35 years. I believe that we are all united in seeking to raise the quality of awareness and capacity for compassionate action on this planet. In orde I am an author, professional energy worker and healer specializing in Rebirthing breathwork, energy psychology, Usui Reiki and mindfulness meditation. With a background in Philosophy, I have been researching energy, consciousness and healing for over 35 years. I believe that we are all united in seeking to raise the quality of awareness and capacity for compassionate action on this planet. In order to reach more people we need to equip ourselves with a well-­grounded understanding of the higher potentialities that exist within all sentient beings. 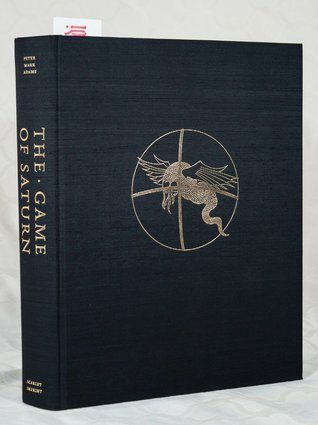 My latest work, 'The Game of Saturn', decodes the opaque symbolism of the mysterious Sola-Busca tarot to reveal the secret rites of an elite Saturnian Brotherhood active amongst the leading families of the Italian Renaissance. My previous book, ‘The Healing Field: Energy, Consciousness & Transformation’ is based on over 15 years of professional healing work. It shares the experiences, insights and realizations of many gifted psychics and healers and presents them in a framework that allows us to re-­assess and counter the prevailing materialism. ‘The Healing Field’ illuminates some of the deeper aspects of consciousness, reality and self-hood and connects them to the ethical order that underlays all life. ‘The Journal of Exceptional Experiences and Psychology’, Volume 1, No 2 (2013). ‘Paranthropology: The Journal of Anthropological Approaches to the Paranormal’, Volume 4, No 3 (2013). I have acted as both an adviser and contributor to the Turkish Radio & Television (TRT) documentary ‘At the fringes of Science’ (in production). I have written a range of practical manuals covering Mindfulness, Reiki and Rebirthing Breathwork and contributed numerous articles on complementary and alternative medicine, mindfulness, Reiki, breathwork, energy, esotericism and altered states of consciousness.